Persian rugs have long been known for their quality and style. Produced by hand, these oriental rugs have a beauty that can’t be beat. Completely unique, Persian rugs are a quality investment that will last for years. Authentic Persian rugs are produced in Iran, (formerly known as Persia). Copies of these rugs are produced in other countries such as China and areas in the Middle East. Some consider the quality of these to be just as good. Persian rugs have been produced for thousands of years but the industry really came into it’s own in the 16th century. The design or style of a particular oriental rug is unique to each region in Iran and has been passed on through the centuries. 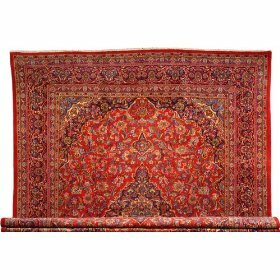 When looking for a Persian carpet, the best quality are those with a greater number of knots per square inch. The more knots per square inch, the longer it has taken to create the rug. This of course is reflected in the price. Other factors to consider when shopping for Persian carpets are the quality of the wool or silk used to weave the rug, the symmetry of the design and the complexity of the design. Persian rugs are surprisingly affordable considering the amount of work and effort that has gone into making them. Purchasing a quality Persian rug will not only be a good investment but will also add greatly to the beauty of your home.